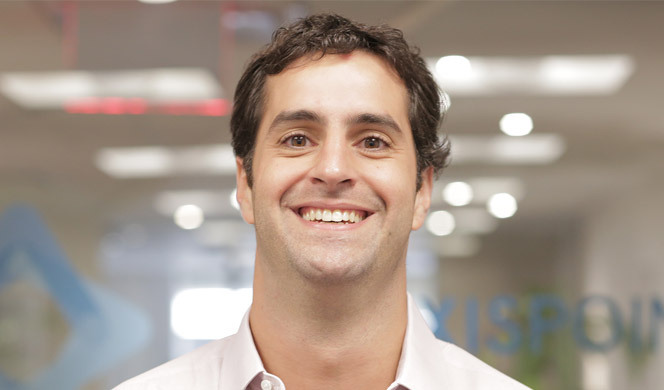 Daniel DiSano, President and CEO, is a technology executive and entrepreneur and has been a force of change in many companies and organizations. He helped grow HQ Global Workplaces from $40 to $600 million in sales in less than 4 years. His success led him to serving and helping write policy on President Barack Obama’s Technology, Media and Telecom Committee. He has led Axispoint since June 2002 and is past Chairman of YPO Metro NY. Scott T. Powell, Founder and COO, grew up in a family culture of early computer and software businesses in the 1980s and continued the tradition with the start-up of several businesses, building systems, software, and databases for healthcare, manufacturing, and insurance industries. 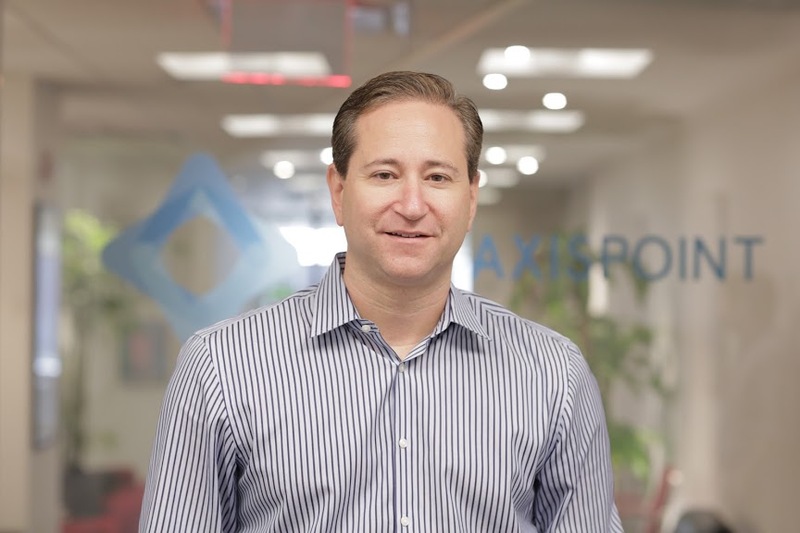 Co-founding Axispoint in 1994, Scott initially focused on building web technologies for media, entertainment, and sports before expanding to application development across several verticals. He is a hands-on executive responsible for operations, delivery, and product development at Axispoint. Edward M. Caravalho, CPA, Chief Financial Officer since April 2008, is a well rounded seasoned finance executive with over 27 years of business growth and customer service accomplishments. Previously, Edward was with Williams Real Estate Company (GVA Williams), VANTAS (pre-merger with HQ Global Workplaces), Coopers & Lybrand (pre-PWC) and Holtz Rubenstein (pre-BakerTilly). Edward is a Certified Public Accountant and holds a BBA degree in accounting from Hofstra University. Edward is a member of the American Institute of Certified Public Accountants and the New York State Society of Certified Public Accountants. David’s technical career spans over four decades, 18 of those years has been with Axispoint. During his career, David has worked with a variety of clients spanning many industries including Telecommunications, Media/Entertainment, Law, and Education. Dave’s leadership abilities of working closely with clients, translating their needs into a maintainable architecture and managing a team to stand-up systems, consistently meets and exceeds a projects original objectives. David’s personal interests in electronics, mechanics and embedded programming have benefited his career projects as well. This includes design, build and programming of electronic devices in C, C++, Assembly, 3D Printing – Design and create plastic parts as well as building actual 3D Printers using Arduino, Raspberry Pi, Intel Edison, Intel Galileo, ESP8266 in C, C++, and Python. Matt is a team and development lead with experience delivering bespoke applications to clients looking to transform their business through technology. Over the last 20+ years he has designed and built software for companies including industry leading music publishers looking to adapt to a rapidly changing market, small startups trying to discover new markets, and retail groups leveraging technology to get a competitive edge. He has been a consultant with Axispoint for almost 10 years, where each new client brings a new set of constraints that demand being a polyglot developer, a fast learner and a good teacher. Matt has built on traditional tech stacks like Java/Spring/Oracle although more recently has been primarily delivering cloud-native NodeJS serverless apps. In his role at Axispoint his responsibilities often evolve over the life of a project; architecting solutions, documenting designs, building prototypes and proofs of concept, coding heads-down to meet a critical deadline, fixing bugs, planning resources and project timelines, acting as a sounding board to the business, or anything else that is needed to deliver the best product possible. The Agile principles of valuing individuals, collaboration, flexibility and emergent design form the foundation of his approach to software and have proven to be a reliable way of navigating through the most challenging projects. Ragin manages the business analysis and quality assurance disciplines at Axispoint. In addition to her managerial responsibilities, Ragin is a skilled business analyst excelling in understanding complex business domains and defining solutions that meet core business needs. She works closely with project stakeholders and is an expert in managing project scope and risks, and negotiating trade-offs with technical architects and business sponsors to ensure solutions meets business needs while being time and cost effective. Ragin is an excellent verbal and written communicator, skilled in UX design and visual modeling. 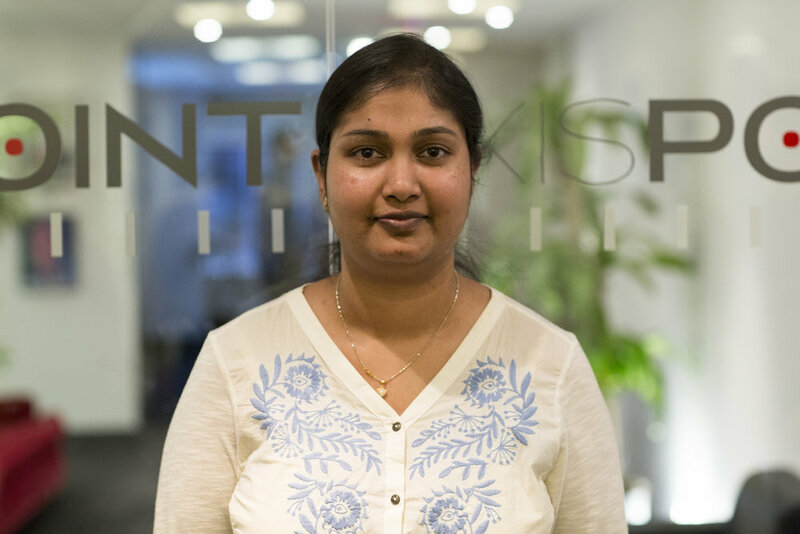 Elizabeth has worked at Axispoint for 10 years, specializing in the Business Analysis discipline and working as a Principal Consultant to envision, define and implement complex custom software solutions. With a background in development and a degree in software engineering, Elizabeth understands all facets of the software development process and excels at bridging technical staff with business teams and management. Elizabeth is highly proficient in solution envisioning, project scoping and requirements elicitation through a superior ability to interact with stakeholders, being an extremely fast learner, having a high attention to detail, and possessing the desire to determine true business needs. She is accomplished in requirements management and producing clear and concise documentation including user stories, use cases, functional and non-functional requirements, user interface models and visualizations, and UML. Liz has a strong background in a variety of industries, with proven IT solutions experience in Music, Media, Rights Management, Licensing and Royalties, Television, transactional websites, Inventory and Distribution, Call Centers and Customer Service. Her other strengths include excellent verbal and written communicator, personal and approachable with a priority in fostering client relationships, comfortable in fast paced environments, willing and able to take ownership of tasks through to completion and able to step outside role boundaries based on project needs. © 2019 Axispoint, Inc. All rights reserved.